Mid-Life Cruising!!! : NKOTB - Memories n Melodies! NKOTB - Memories n Melodies! NKOTB (New Kids On The Boat) ... A Weekly Series Sharing Our Thoughts and Questions as Beginner Sailors and Future Cruisers. NKOTB or Experienced Cruiser ... Tell Us Your Thoughts! I'm writing this post today, about 5 hours after I usually already publish it. Why? Well, my computer's been giving me problems all week, and after researching the internet it may be due to downloading the latest iTunes on my Windows Vista computer. Ugh! So, I'm using another computer and writing this post real quick, so bear with me. Since all of my computer problems seemed to start when trying to update my iTunes for my iPod, I thought it would be appropriate for today's topic to be about memories and melodies ... or pictures and songs while cruising. These problems that I'm encountering have got my wondering ... what do cruisers do to store and protect their songs and photos while exploring paradise? Currently, I am using Photobucket and my Facebook page to store my photos. I also have copies on my computer, but if my computer loses everything, will Facebook and Photoshop be sufficient? Music is very important to us, and we couldn't imagine cruising without a large music library. I've been downloading music to iTunes and then syncing iTunes with our iPod. Our music library is pretty large now, so I just copied all of our music files to a flash drive. Now that our music is safe on our iPod and flash drive, I'm thinking that I really need to delete all of the music files from our computer, as they are taking up a ton of space. Is this my only option to make more space on my computer? I hope to purchase an inexpensive video camera soon, as well as start downloading movies for those days when we're stuck in our salon. So, I have the same questions regarding movies and storing them. I've taught myself everything I know about computers, therefore spending a crazy amount of time learning the ins and outs of creating a blog, a Facebook account, etc. I'd really like to save some time and would love to know what you all are doing to keep your memories and melodies safe, without crashing your computer! Also, since I believe iTunes is the problem ... I'm wondering how I can sync my iPod to Windows Media Player instead of iTunes. I've been able to sync our flash drive to Windows Media Player, but my iPod already has a "relationship" with iTunes, which I can't get to ... help! With the latest technology, I believe capturing memories and sharing them with friends and family is such a nice option. Your advice about WiFi, music, videos, photos, etc. are greatly appreciated! Note: Here are the previous posts from this series. Check them out and feel free to give us your advice. We've really enjoyed reading your comments! NKOTB - Bad Weather! NKOTB- The Anchor! NKOTB - Sailing Experience Required?! NKOTB - The Right Boat! NKOTB - Hygiene! NKOTB - "Down Under"! NKOTB - Sea Creatures! NKOTB - Comfort! You really need one "off the boat" place to store files. 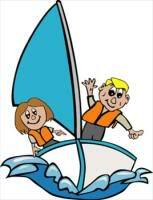 If the worst happened and your boat sank or burned, you want to have a set that you can still retrieve. I use Carbonite and sync it every time I get an internet connection. Once you do the first big sync (which can take days even with a cable modem), updating it doesn't take too long . . . even when I've added 2,000 photos! There are other similar services. I've known several boats that opted for backing up to external drives, CDs, DVDs, flash drives, etc. and found that they weren't reliable for various reasons: salt air, electrical blips, lightning damage, zapped from bad shore power, degrading with age, getting stolen along with the laptop, fire, water damage and so on. Anything that's important needs to have a copy OFF the boat. Oh -- if you use Carbonite, be aware that if you delete something off your hard drive, it will be deleted off Carbonite 30 days later. So you can't sync to Carbonite and then free up space on your hard drive. I don't listen to much music anymore, so I can't help. Hubby does podcasts on his MP3, but I've not a clue how he does that. I'm technically challenged times 22. I hope you figure this out soon. Thanks so much for the great info Carolyn! We've never heard of Carbonite until now, and we didn't realize those flash drives go bad. Your advice is greatly appreciated!